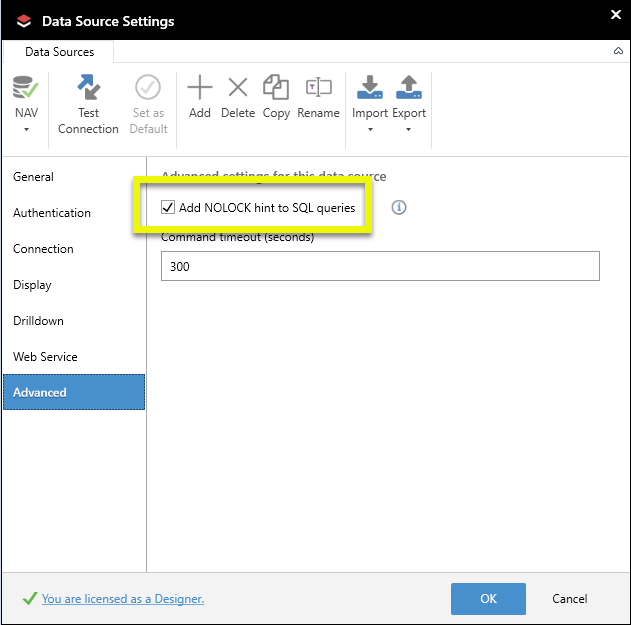 When using a SQL data source, you have the ability to configure your data sources settings so that Jet functions will use the SQL NOLOCK hint. With heavy-traffic data sources, this can potentially offer significant performance improvements by not requiring queries to wait for SQL to release locks on a table. Certain database can temporarily post non-committed transations to a database table and then remove them. If those transactions are present when runnng a NOLOCK query, it is possible for the query to retrieve the data from those records. Configuring NOLOCK for a SQL-based data source can be done in either the Jet Reports Data Source Settings for with the Jet Administration Console. On the Advanced tab, check the box for Add NOLOCK hint to SQL queries. 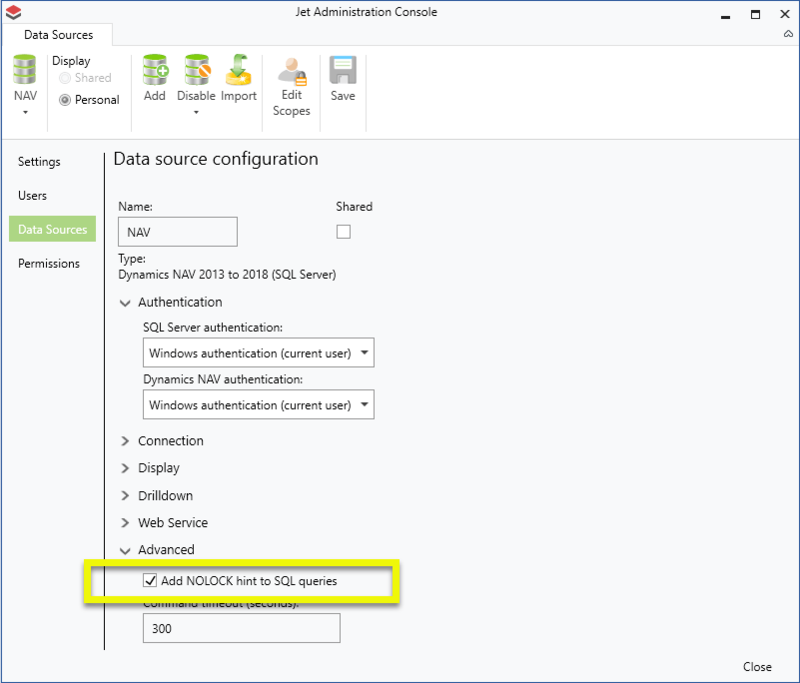 In the Data Sources settings of the JAC, expand the Advanced section for your SQL data source and check the box for Add NOLOCK hint to SQL queries.